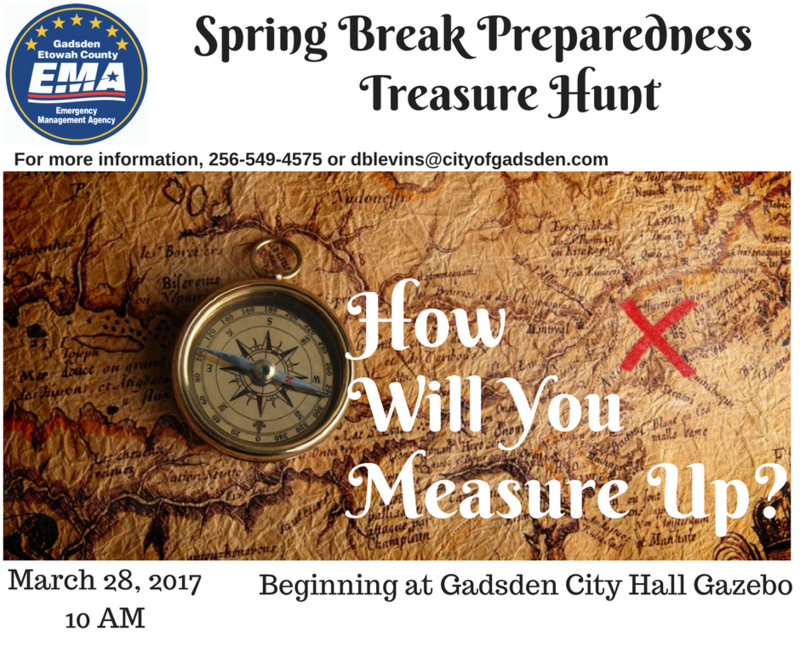 The Gadsden Etowah EMA will be hosting a Preparedness Treasure Hunt along Broad Street businesses during Spring Break. The event will begin at the Gadsden City Hall Gazebo and go along Broad Street. Participants will go to various businesses along Broad Street to learn more about Emergency Preparedness and receive information and/or items at each stop along the way. Call 256-549-4575 or email dblevins@cityofgadsden.com for more information.